Ace Business Machines provides copier repair, service & supplies serving Milwaukee, Wisconsin and the surrounding areas. With the best customer service and expertise in the area, we also offer a wide selection of toners and supplies, as well as new and used copiers, printers, fax machines, and typwriters for sale and lease. 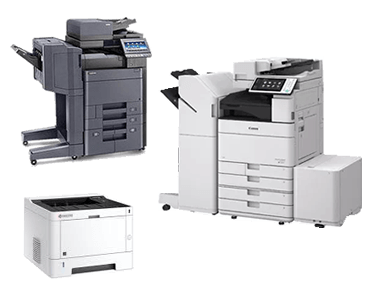 We service and sell Canon, Copystar, Kyocera, Samsung, Sharp, Hewlett Packard, Brother, Xerox, Toshiba and many other copier and copier related products. Call us today for a complete list of the new and used copiers that we currently have in stock. We carry an extensive selection of copier supplies including copier drum and toner cartridge supplies for almost every make, model, and major brand of copier available. We pride ourselves in our ability to provide prompt courteous customer support, and also prompt delivery of all photocopier products & accessories. Call us today and let us know your copier manufacturer so that we can help you find the copier supplies that accommodate your needs. If you're in the Milwaukee area, let Ace Business Machines be your one stop shop for copier toner, drums and other supplies. Even if it's a hard-to-find part, we can probably find it for you fast and efficiently to help get you back up and running so that you have the least amount of downtime possible. Call today! We look forward to servicing your copier needs!